SS (Short to Standard)= 27" to 29"
LX (Long to Extra-Long)= 29" to 31"
Adjustable side straps on the waist band for a snug fit. 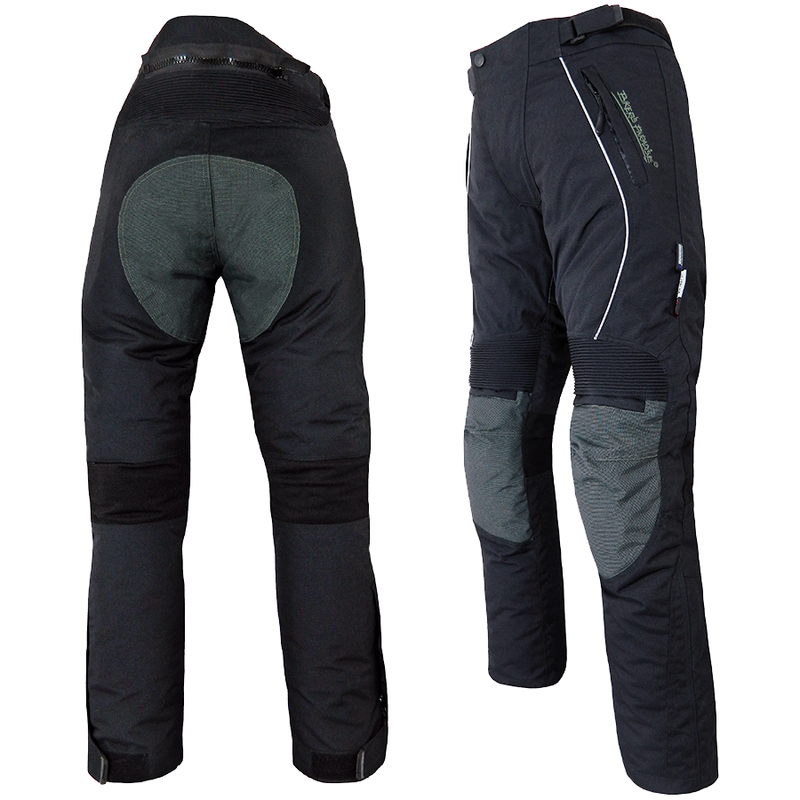 Removable CE armour on knees with stretch panels above the knee area for ease of movement. Reinforced knees.